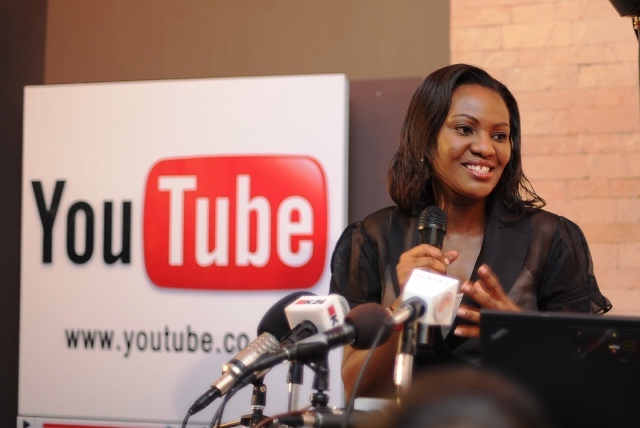 By Capital FM, YouTube announced the launch of a Kenyan domain in Nairobi, Kenya on Wednesday. YouTube Kenya will now offer some of the most informative and entertaining video content from around the world through a local interface that promotes the content most relevant to Kenyans. “With a new localized version of Youtube, Kenyans will be able to connect and use this information more easily,” notes Olga Arara-Kimani, Google Kenya’s Country Manager. Dubbed as the “original East African Diva,” Amani shared on the panel how YouTube has helped her to grow her audience and to better understand them. But what does the addition of “.co.ke” really change? For starters, a cool new logo that plays homage to the Kenyan flag, which will definitely inspire new printed t-shirt designs. On a more serious note, YouTube Kenya will make it easier for local users to find and view the videos most relevant to them through search algorithms and category spotlights. Secondly, content uploaded by users in Kenya will show up as “browse pages” on the YouTube Kenya site ultimately increasing Kenyan users’ exposure, and thirdly, offer local users YouTube Feather – a lighter version that will ensure that those with low-speed Internet connections will be able to play videos faster. The impressive numbers that YouTube clocks, more than three billion views per day and 48 hours of uploaded video every minute, will only grow substantially as the online video giant continues to launch localized sites in emerging markets where there is a great need for stories to be shared on free platforms.